Do you work well with others? In November 2012, Jack was always a loner, but now that’s about to change. Directing this 97 minute animation/adventure/family/fantasy is Peter Ramsey. 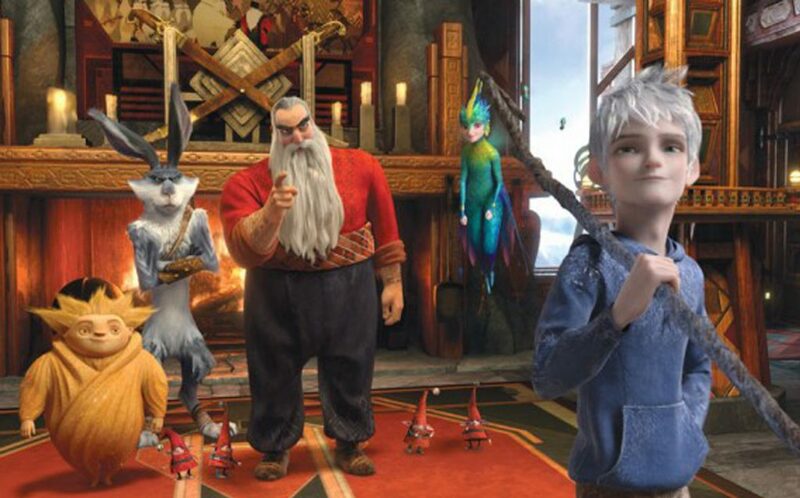 Lending their voices to the characters are: Chris Pine as Jack Frost, Alec Baldwin as North, Isla Fisher as Tooth, Hugh Jackman as Bunny, Dakota Goyo as Jamie Bennett and Jude Law as Pitch. 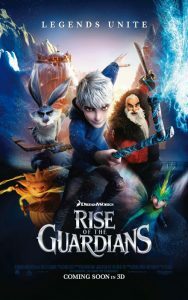 For any book readers out there, apparently the movie is based off of a book series by William Joyce called The Guardians of Childhood and also a short film called The Man in the Moon. I haven’t heard of either of them but maybe worth looking into, who knows. I liked this film it has some good imagination in the story. Building a team of guardians out of the individuals like Claus and Sandman was pretty cool. Even though you have the team working to stop evil, the true story covers Jack. Which I have to say I kind of liked. Jack doesn’t get the air play compared to what the rest of the team receives. I mean come on, all those snow days we had as a kid and how many of us thanked Jack Frost for it? Anyway, because of a fun and warm hearted script, the storyline was good and had a adventures playthrough. Now the film was budgeted for about 145 million, and when you watch it you can tell they used every dollar to make something look and sound great. The cast, which did good, was also a bonus to the film. Listening to Jackman as the Bunny or Baldwin as great as North was a kick. Side note, I don’t like Jude Law… at all really, but oddly he fits when it comes to voicing a bad guy. Summary : Is this one worth the time to wrangle the family in for a movie? Yeah I'd say so. For the most part it moves at a good pace, even though it does slow down a bit it's nothing that hurts the movie.